I'm sure most of you have seen led stripes on the wall, but have you ever seen anything like this? If you want to know how it's made, then this tutorial is for you. I'll do my best to give you all the tips that I have learnt on this project, but please remember that I had professional electrician working with me on it. First of all you need to check if your wall doesn't hide any wires or pipes, unless you know that for the fact. No worries if you are not sure, there are ways to trace electrical wiring in a wall which you can learn from here. I skipped this step though, because I have the pictures of all the cables and pipes around the house, which I took when we were still building, so it was easy to check. Having your wall checked you can start planning where you would like the stripes to go. I simply used pencil and spirit level to do mine along with the measuring tape for better precision. Don't put the lines too close though, because the lights are pretty bright when switched on. As you can see from the picture I changed my mind several times before the lines went to the right place. Once you've done with that, you may want to cut the profiles to required lengths. In this step you can choose one of the following options: either you go for the wall cutting to place aluminium profiles inside or you decide to attach the profiles directly onto the wall. It's entirely up to you which method you will choose. We actually tried both and they both worked just fine. The only thing is when you attach profiles directly to the wall it's less messy than if you cut the wall to put them inside. This is a step when I needed a helping hand of my electrician, but if you are a 'power wiser' you will know what to do next or if not you may find some clues in here. After you've got your profiles fitted to the wall you need to cut and then put the led stripes inside them. When that's finished you must have it all connected to a led transformer and then you can check if it's all working. 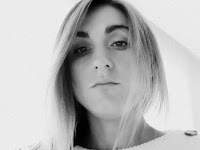 If you are happy with what you see you may close the profiles with covers and go to the next step. Now it's time to start finishing your wall. First of all you will have to do plastering to hide all the wiring. Remember to be precise at this point as this will save you lots of time later when it comes to sanding. Oh and don't forget to put masking tape on the covers to avoid extra cleaning! After you are done with the plastering you may start giving your wall the final look like painting. 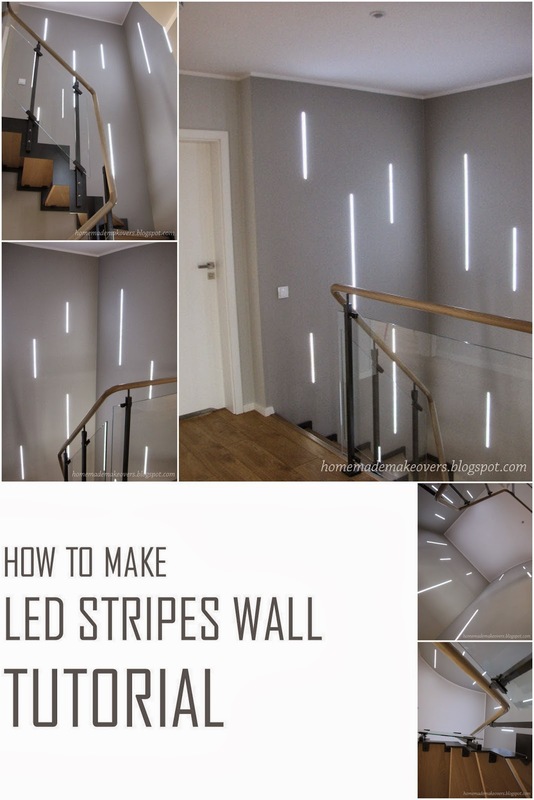 Good luck making your own led stripes walls and don't forget to share your experiences with me! If you want to see how it all looks now click here.